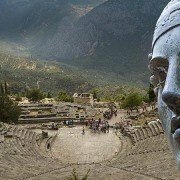 Enjoy a wonderful day trip to Delphi, navel of the world, one of the most classical and visited sites of the Greece. Located at mountain Parnassos about 370 kilometers from Athens. 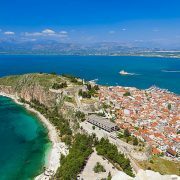 Drive through spectacular country side of Greece, through the breathtaking mountains, fertile valleys of olive groves, cotton fields and scenic traditional small Greek villages! 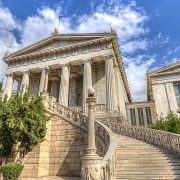 Enjoy our Greece Delphi tours from Athens !